Melvita as a company is well known for their organic products. They have many natural cosmetics products. They also create a very natural toothpaste. Melvita Dentifrice Haleine Pure is 99.66% natural product. Keeping that fact in my mind, I need to give it a good grade or maybe no? Sorbitol – is an artificial sweetener, and I don’t understand why they need it. It is used to mask the horrible chemical taste, but if Melvita toothpaste is 99.66% natural, why they need to disguise the bad taste? Glycerin – to prevent remineralization and helps in demineralization, but do we want this? Cellulose Gum – can also harm your enamel just like hydrated silica. Sodium Benzoate – is a very interesting stuff inside this so-called natural product. This element is preservative, in high dosage lethal to humans and also neurotoxin to aquatic animals. This component, when used in combination with the citric acid or vitamin C, is cancerogenic. And if you read the label on Melvita Dentifrice Haleine Pure you will see it contains citric acid. So in other words, Melvita is selling you cancer. But things to get worse, sodium benzoate is also destroying mitochondrial DNA, which can lead to faster aging. Many people seek for healthy products and use organic products to get closer to nature. But consuming thing that can destroy your DNA is very unnatural and should be forbidden by law. There are many other questionable ingredients on the list. I will not check all of them; it is enough just to read about sodium benzoate, and you should know that it is better for your health to avoid Melvita Dentifrice Haleine Pure. Overall Melvita did a bad job. They didn’t pay attention to the ingredients they use. Not sure if it is because of the money because this product is very expensive and not healthy. Or is it maybe that they just don’t care. They think that only putting a labeled natural or organic on their toothpaste will make the sales. They believe that their customers are dumb and won’t check ingredients. Well, I have bad news for Melvita. We did check them, and we have done this review that can help you decide if you wish to risk with Melvita or buy another toothpaste. Yes, their product is natural, yes they don’t use Fluoride and Sodium Lauryl Sulfate but I m afraid for serious natural products buyers this is just not enough! I have received a message with more details from Melvita Laboratory. They say that Betaine is no longer used in the formula. Amazon didn’t update their info, or they are selling old formula. The combination of citric acid and sodium benzoate is not safe. By the law, Melvita just says that this combination is allowed. They also say that there are no studies about a carcinogenic mixture of citric acid and sodium benzoate. But if you do a search on Benzene (benzene is a product of combining sodium benzoate and citric acid) you will see that this component is cancerogenic. I know levels of sodium benzoate and citric acid is minuscule in toothpaste and most probably are not so dangerous as if you are drinking soda drinks. Soda drinks have a higher amount of benzene. And linking this component to cancer many beverage companies are dumping the benzene and all combinations that can make a creation of this dangerous element. We will be happier if Melvita doesn’t use this combination. But with all details and more info from Melvita, I will raise the rate of this toothpaste. If they dump sodium benzoate rate would go higher, maybe in near future we see this since they care about their customers. Good news, Melvita contacted me and soon they will give me more information. So i will update main post with new info. But their rate will raise since it looks like they care about their product and customers that buy it. 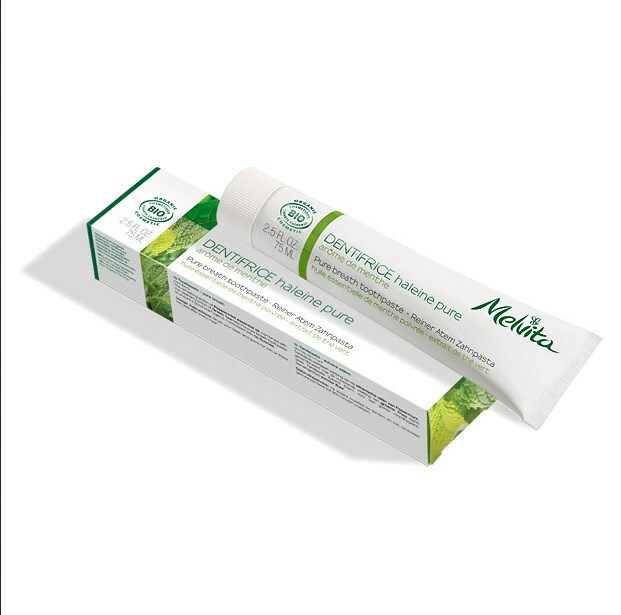 Melvita answered and this toothpaste looks much better now after a update.